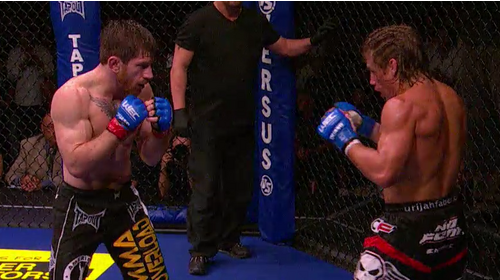 Urijah Faber vs Brad Pickett UFC Fight Night Dec 17, 2016 (34:11) Urijah Faber vs Brad Pickett at UFC Fight Night: VanZant vs Waterson from December 17, 2016 in Sacramento, California, USA. 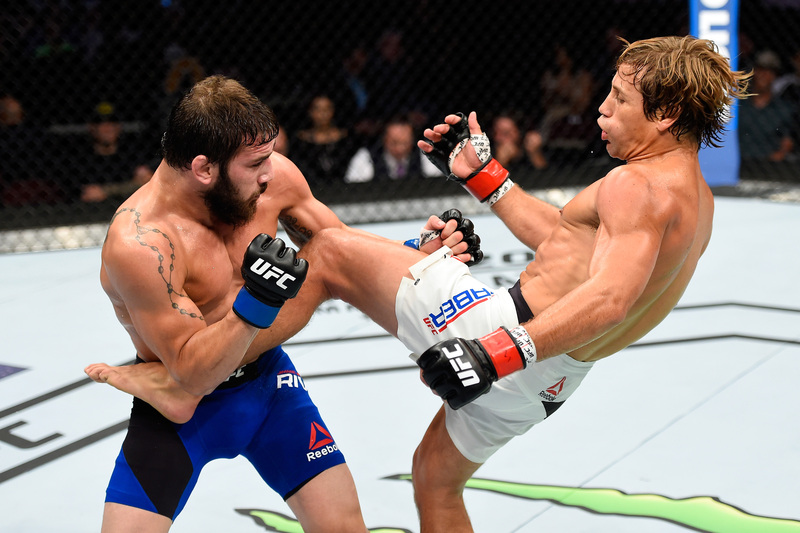 Jimmie Rivera vs Urijah Faber UFC 203 Sep 10, 2016 (32:49) Jimmie Rivera vs Urijah Faber at UFC 203: Miocic vs Overeem from September 10, 2016 in Cleveland, Ohio, USA. 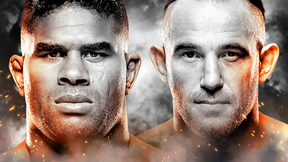 Dominick Cruz vs Urijah Faber UFC 199 Jun 4, 2016 (46:35) Dominick Cruz vs Urijah Faber UFC 199: Rockhold vs Bisping 2 from June 4, 2016 in Inglewood, California. 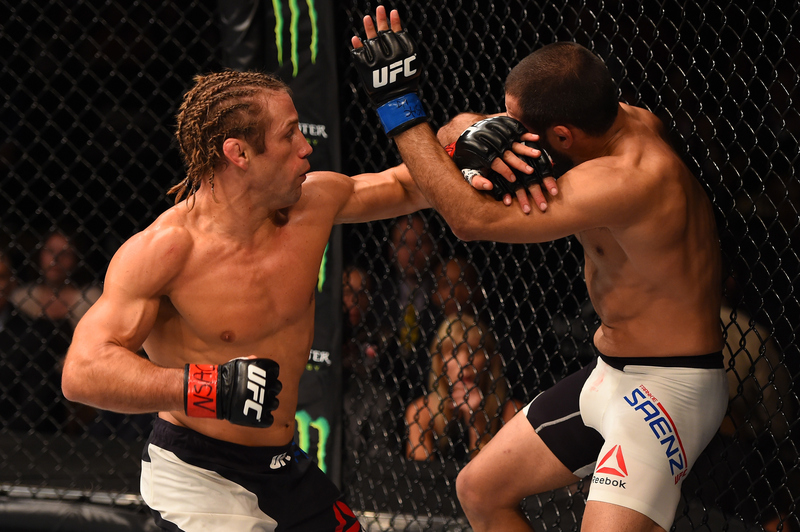 Urijah Faber vs. Francisco Rivera UFC 181 Dec 6, 2014 (18:03) Urijah Faber and Francisco Rivera met at UFC 181 with both looking to inch closer to UFC gold. 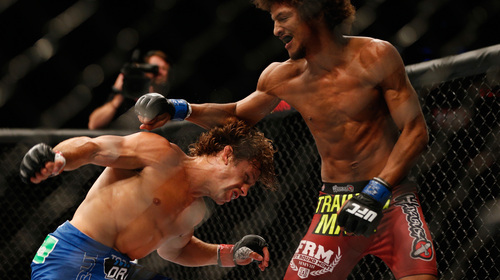 Urijah Faber vs. Alex Caceres UFC 175 Jul 5, 2014 (21:07) Unbeaten in his last five bouts, Alex Caceres was ready for the biggest fight of his career against Urijah Faber, who had finished four of his last five wins. As Faber approached the matchup with Cacares, 'The California Kid' wanted to show his opponent that there was no substitute for experience. Renan Barao vs. Urijah Faber UFC 169 Feb 1, 2014 (23:47) The undisputed UFC bantamweight championship was on the line when Renan Barao, who was unbeaten over the previous eight years, met "The California Kid" Urijah Faber, a fighting pioneer coming off four consecutive victories, for a second time. 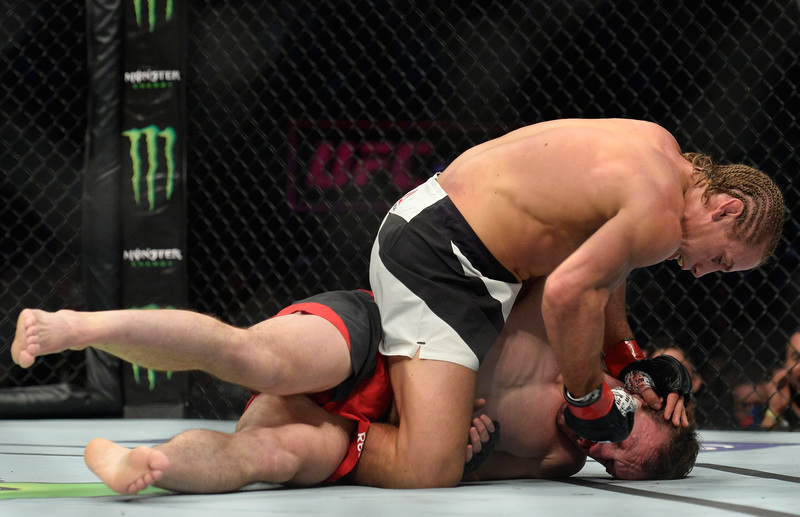 Urijah Faber vs. Michael McDonald UFC Fight Night Dec 14, 2013 (12:51) A true veteran of the sport took on a new breed of fighter when 'The California Kid' Urijah Faber and Michael 'Mayday' McDonald met in the Octagon at UFC on FOX 9. 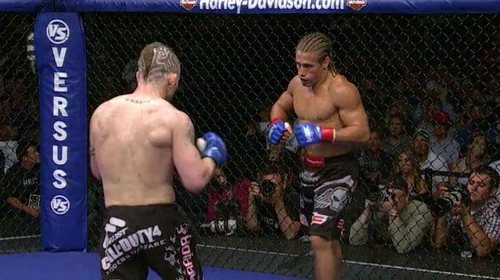 Urijah Faber vs. Iuri Alcantara UFC Fight Night Aug 17, 2013 (26:33) "The California Kid" Urijah Faber took on Yuri Alcantara at UFC Fight Night: Shogun vs. Sonnen. 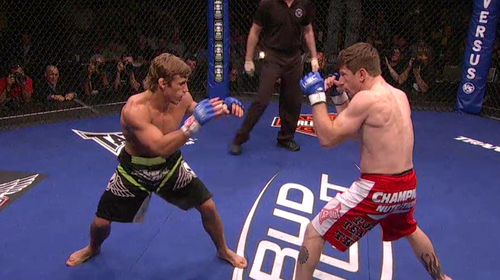 Urijah Faber vs. Scott Jorgensen TUF 17 Finale Apr 13, 2013 (23:36) 'California Kid' Urijah Faber and Scott 'Young Guns' Jorgensen met in the Octagon in the main event at The Ultimate Fighter 17 Finale. 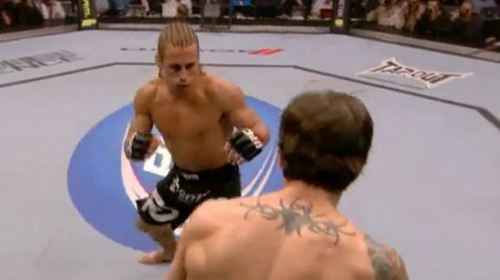 Urijah Faber vs. Ivan Menjivar UFC 157 Feb 23, 2013 (15:21) In 2006, rising stars Ivan Menjivar and Urijah Faber met in Canada, with Faber winning by way of a controversial disqualification verdict. 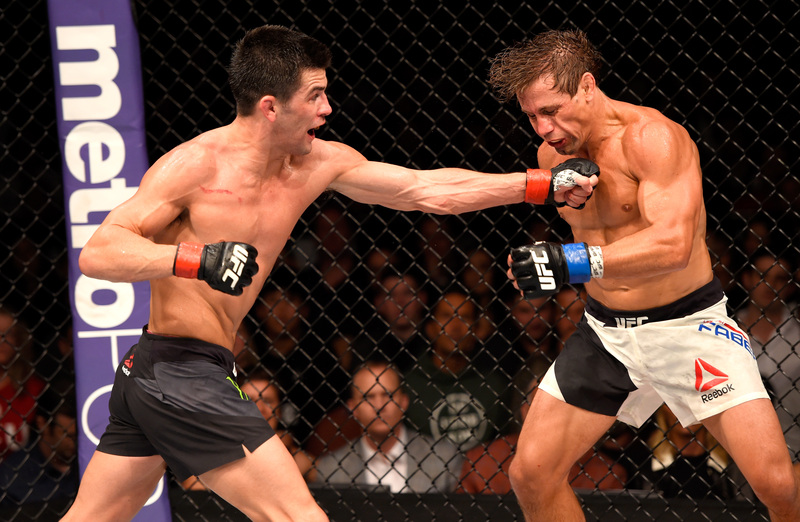 At UFC 157, the two bantamweight contenders met again to prove who the better man was. 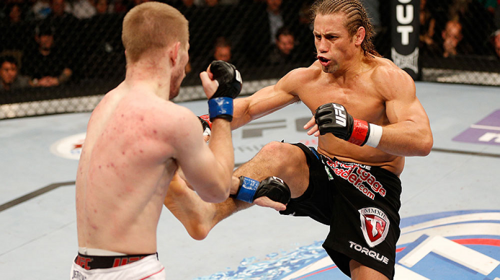 Renan Barao vs. Urijah Faber UFC 149 Jul 21, 2012 (45:48) Dangerous submission specialist Renan Barao brought his near-perfect record into The Octagon at UFC 149 when he went to battle against 'California Kid' Urijah Faber for the bantamweight interim championship. 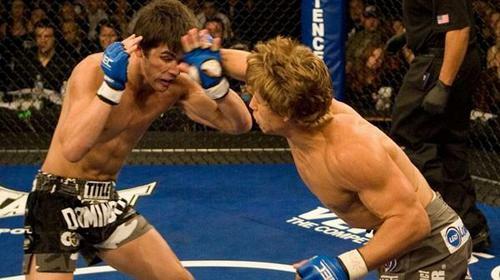 Urijah Faber vs Brian Bowles UFC 139 Nov 19, 2011 (19:50) Two of the top bantamweights in the world met in one of the most intriguing bouts of 2011, as Urijah Faber took on Brian Bowles. Dominick Cruz vs Urijah Faber UFC 132 Jul 2, 2011 (39:20) The Ultimate Fighter Live Coaches Dominick Cruz and Urijah Faber met for a second time in a long-anticipated rematch under the UFC banner, but this time it was Faber who looked to take the bantamweight belt from Cruz in a heated, all-out battle. 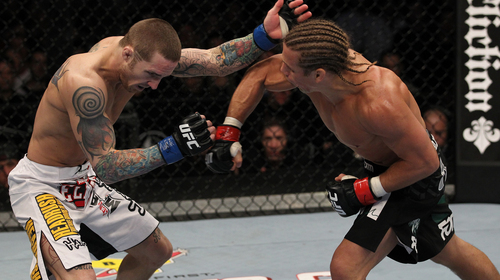 Urijah Faber vs. Eddie Wineland UFC 128 Mar 19, 2011 (23:56) The California Kid Urijah Faber faced Houston native Eddie Wineland, who was in the midst of a four fight winning streak. 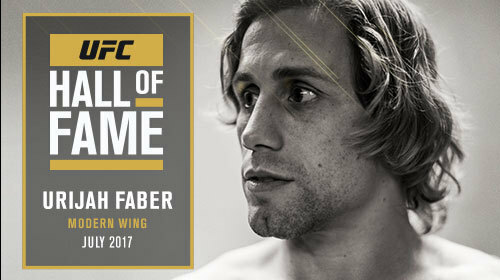 Faber and Wineland both come out the WEC and entered the UFC for mixed martial arts glory. Mike Brown vs. Urijah Faber WEC 36 Nov 5, 2008 (16:38) Making his 6th title defense, WEC featherweight champion “The California Kid” Urijah Faber, who was on a 13 fight win streak which included 11 finishes, was set to collide with American Top Team’s Mike Brown, who had won seven straight with five finishes. Urijah Faber vs. Joe Pearson WEC 25 Jan 20, 2007 (10:53) Making his first title defense, WEC featherweight champion “The California Kid” Urijah Faber, who had an impressive 16-1 pro record, which included 13 finishes, was ready to rumble with Joe “The Triangular Strangular” Pearson, who was on a seven fight win streak. Urijah Faber vs Bibiano Fernandes KOTC: All Stars Oct 28, 2006 (19:47) Urijah Faber vs Bibiano Fernandes KOTC: All Stars from October 28, 2006 in Reno, Nevada. Urijah Faber vs Naoya Uematsu Gladiator Challenge 51: Madness at the Memorial Jul 1, 2006 (12:22) Urijah Faber vs Naoya Uematsu Gladiator Challenge 51: Madness at the Memorial from July 1, 2006 in Sacramento, California. 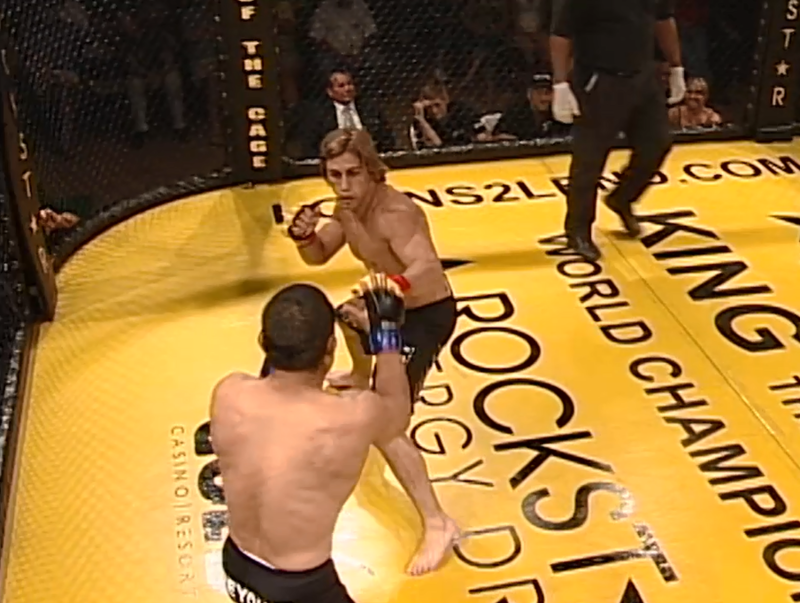 Urijah Faber vs Charlie Valencia KOTC: Predator May 13, 2006 (14:35) Urijah Faber vs Charlie Valencia at KOTC: Predator from May 13, 2006 in San Jacinto, California, USA.